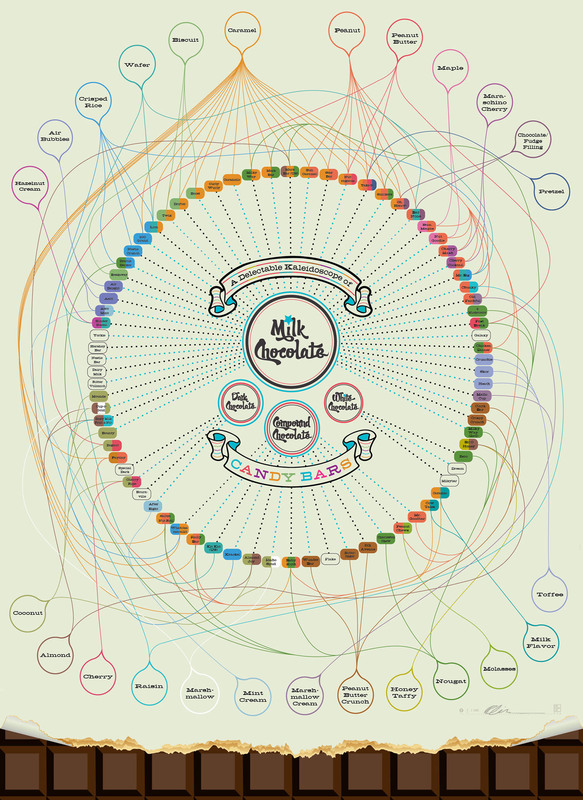 The chart, whose Wonka-esque name is “The Delectable Kaleidoscope of Candy Bars,” plots every candy bar under the sun and visually connects its ingredients to its similarly flavored friends. So with some close inspection, you can divine that the aforementioned Kinder Bueno contains hazelnut cream and, like the much more prosaic Kit Kat, is made with wafers. What good is this information? Unless you’re an unholy hybrid of Augustus Gloop and a reference librarian, I’m not sure. But is it sure is sweet to look at.